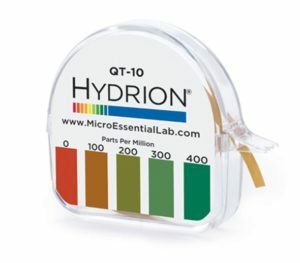 The Mid-Level Chlorine test strip provides an easy way to accurately measure Free Chlorine in increments of 0, 25, 50, 100,and 200ppm. This test strip produces a distinct color change over the entire range from blue to brown to orange. 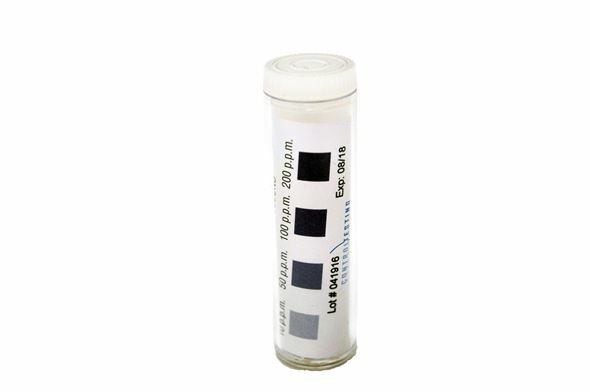 This is a great alternative to our Chlorine Test Paper as it is a more accurate measurement of free chlorine. 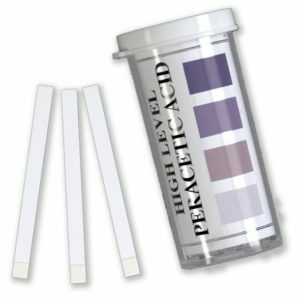 Our Chlorine test paper is only a semi-quantitative measurement, meaning it changes darker shades of one color (purple). 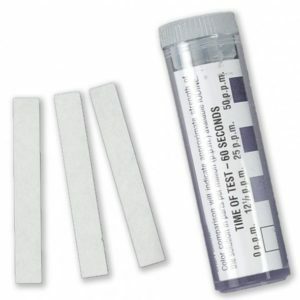 To use, submerge the test strip in the sample and remove immediately. DO NOT shake off excess, hold strip level, and compare to the color chart located on the container.